K. John McConnell, PhD, is a health economist whose research has covered emergency & trauma care, management in health care, and behavioral health services. His current work is focused on the effectiveness of Medicaid payment and delivery system reform, with Oregon’s “Coordinated Care Organizations” serving as a leading example. 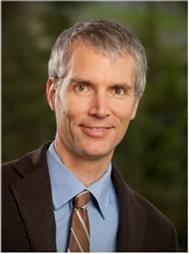 Dr. McConnell also serves as the Director of the Center for Health Systems Effectiveness at Oregon Health & Science University. CHSE’s work includes analyses of Medicaid claims and survey data for several states in the Western United States, including Oregon, Washington, Colorado, South Dakota, and, Montana, and Idaho. CHSE has extensive experience in working with All Payer All Claims data, including ongoing work with the Oregon All Payer All Claims database and serving as the Lead Organization to develop and operationalize the state of Washington’s All Payer All Claims Database.